The good thing about confusion is that it puts people in a place of not knowing. In order for new ways of thinking to develop you need to be in a state of not knowing. Unfortunately we live in a world where people are rewarded for knowing. Those who don’t know don’t succeed. Just look at the education system, who gets the highest marks those who know the answers. At work who gets the big bucks those who come with the answers. Whilst there is nothing wrong with having answers it is where these answers are coming from that is the problem. 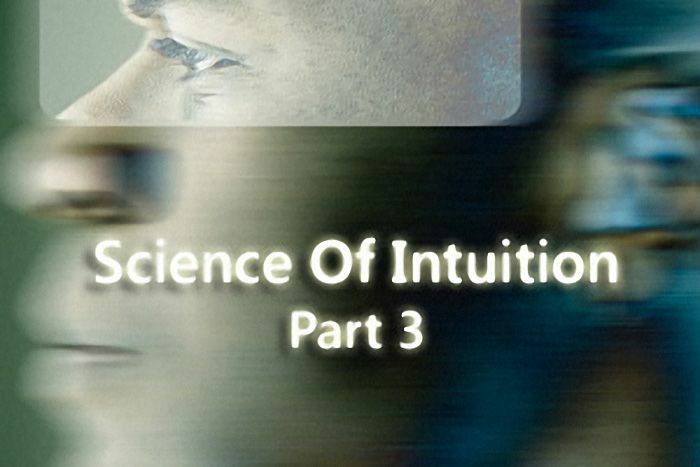 The societal pressure of needing to have all the answers prevents people from accessing their intuition as intuition comes from a space not knowing. How do you break this cycle? Firstly you need to accept that in order to access your intuition you have to suspend judgement and opinion and enter a space of not knowing. Unfortunately this is just the beginning for even when you do enter this space you will still want to filter the incoming information so that it fits with your existing reality. Why do we filter information? Because your existing reality is familiar and comfortable and anything that differs from it will make you feel uncomfortable and sometimes even fearful. However the real fear is fear of the unknown. It is important to recognise here that the unknown is anything outside your current beliefs and attitudes (i.e neural connections) Most of us need to be in control and being in control means knowing what to expect. This need for control helps us feel safe. You need to ask yourself what are you keeping yourself safe from? Most people don’t have a good answer to this question for how can you be afraid of something that you don’t know. When you combine that with the way the brain works you can see that fear of the unknown is just your brain saying hey that isn’t part of our current way of thinking. No more no less. The other reason you filter out the truth is that your beliefs and attitudes are based on your past experiences (remember the first 12 years) and many of these are based on fear. Honestly ask yourself how many times a day do you fear something? Whether it be interactions with people, attending a meeting, being asked a question, learning a new skill, not having enough money the list is endless. Often these fears are not in your highest interests and limit your ability to live your best life. The reality is that these fears act as a defence against the truth. So what is the solution? Firstly you need to accept that many of your fears are based on your perception of past events and then you need to ask yourself is that perception the truth? Most people would argue that it feels like the truth to them. However there are two things to consider here. Firstly is individual perception the truth? If this were so then this would mean there is no truth because everyone’s perception is different? Secondly because something happened ten or twenty years ago does that make it relevant to the here and now? The brain unfortunately takes the past and places it in the now and then projects it on to the future ensuring that your circle of thinking remains intact. If fear is based on your perception of the past how much sense does this make? Not much, but knowing this doesn’t remove the feelings of fear that precipitate behaviours and hence reinforce thought. Now it comes down to feelings. What are your feelings based on? Thoughts, beliefs and attitudes born out of your perceptions of the past. A nice little vicious circle. How do you bypass this and stay in the present moment because this is where your intuition resides? When you truly understand that your feelings come from your brain and are based on what you think. You can then ask yourself whether you want to continue to be at the mercy of your programmed brain or choose to live in the now and use your intuition. Let’s say for example you decide to go through the process of doubt, fear and not knowing. You clear your mind of all thought and hold a space where you just allow the truth to enter. In comes the truth but it doesn’t match your current way of thinking. It may suggest that you do something that you wouldn’t ordinarily do. Immediately the red flags go up, this can’t be right I am not doing that. Such thoughts include this doesn’t make any sense or you experience a real fear with taking that action. So you dismiss it and go back to reinforcing your currently held beliefs. Before you dismiss it you have to ask yourself is what I am seeking guidance about important enough to me to suspend thought and fear and give it a go. This is where the power of doubt, confusion and not knowing come in. Until you get to that point of employing doubt, confusion and not knowing you are going to dismiss your intuition. In fact not only are you going to dismiss it you are not even going to sense it. Unfortunately the way life works is that you have to get to a point where it isn’t working and you experience enough pain either physically or emotionally to take a chance and bypass your beliefs and fears and listen and act on your intuition. Seems a silly way to live life when you think about it. Even more interesting is that when you look at it from this perspective you can see that intuition is usually associated and linked with pain in some way. No wonder people avoid it. In order to move past fear and access intuition you need to be determined and be extremely vigilant for the truth. Because you haven’t relied on intuition in the past you have little or no faith in it. You would prefer to put your faith in a brain that makes erroneous associations between perception and events and leaves you unhappy and fearful. When you truly get this it sounds insane but that is what most people do and further more they do it unconsciously. No awareness what so ever that their life is being ruled by unconscious fear based thinking. You need to ask yourself what is it that you want to put your faith in. Your existing thought patterns and beliefs or in developing a system of thinking that is outside your brains rational operating model. The choice is yours. Remember you always have a choice. You cannot make a choice of living your life through your brains programmed responses and then complain when life isn’t working for you. In choosing to live your life through the use of intuition it won’t always feel comfortable but eventually it will lead you to making the correct choices so that you can find more joy, peace, love and happiness.